I love fall! Well, I guess I love all the seasons. Each one is special in it’s own way. I love decorating for each season/holiday and this little guy makes me smile every year when I bring him out and find a special place for him to sit. 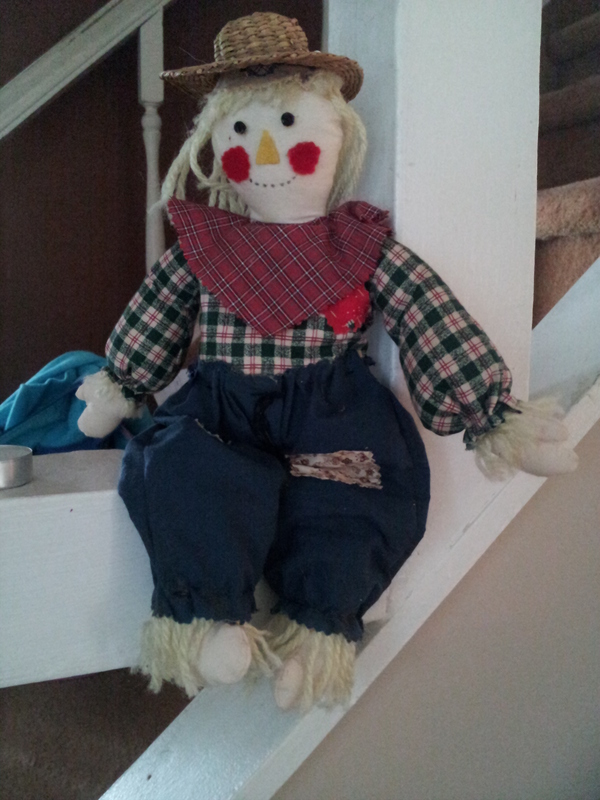 His name is Sammy and I made him many years ago. He graces a different perch each year and happily watches the goings on of the fall season. 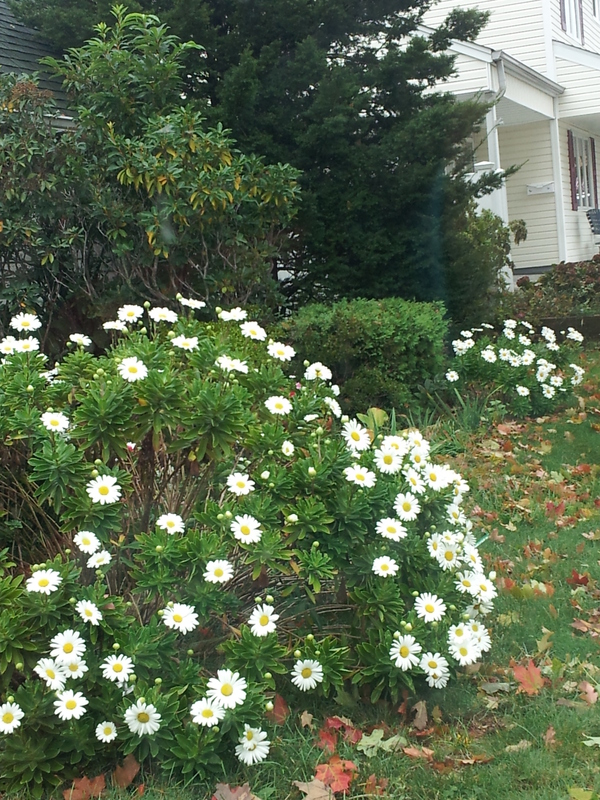 One thing he gets to see this year are my Montauk Daisies blooming so beautifully. They are very cheerful flowers. When I get my mums planted next to them this weekend (hopefully anyway), the contrast between the bright white daisies and the deep, rust and golden mums will be striking. 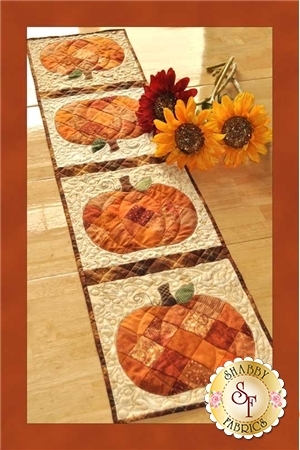 I am also planning to spend a bunch of time working on this tablerunner finally. I picked up more orange/pumpkin fabric (you need a good variety for this pattern) and if all goes well, I’ll have a picture of my own ready to share after the weekend. Happy Monday everyone. I hope you are enjoying fall. This entry was posted in Fall, fall decorating, scarecrow and tagged Fall. Bookmark the permalink.